Whilst the shape of your nose is usually the result of heredity, the appearance may have been altered in an injury or during prior surgery. Also known as rhinoplasty, surgery of the nose improves the appearance and proportion of your nose, enhancing facial harmony and self confidence. Surgery of the nose may also correct impaired breathing caused by structural abnormalities in the nose. Medical charts show that for a man of 30, the normal nose length is 5.8cm and should stick out no more than 2.6cm. For a woman of the same age, the average length is 5.1cm with 2.2cm sticking out. What Can Nose Surgery Accomplish? To get an idea of what your nose would look like post surgery there is a ‘magic lift tool’ which is free. However this only quickly shows what you face would look like with a thinner nose from the front. Another simulation tool is available on line is ‘facetouchup.com’ you do have to pay a small fee to this company, but we have found that the simulations are quite good, particularly when patients are unhappy with their side profiles. Please remember these tools are only a guide and no cosmetic surgeon should use these tols to state exactly what a nose will look like post surgery. But they might help you making this important decision and form a better idea of what you would like to achieve. Rhinoplasty, or surgery to reshape the nose, is one of the most common of all plastic surgery procedures. Rhinoplasty can reduce or increase the size of your nose, change the shape of the tip or the bridge, narrow the span of the nostrils, or change the angle between your nose and your upper lip. It may also correct a birth defect or injury, or help relieve some breathing problems. Rhinoplasty can enhance your appearance and your self-confidence. 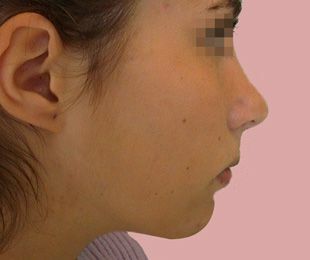 Cosmetic nasal surgery is performed in cases of innate or acquired deformations of the nasal bone or cartilage. Sometimes the procedure may involve surgery on just the soft part of the nose (cartilaginous tissue). In other cases more extensive correction is required (covering both cartilage and bone). Most procedures allow for incisions located in the nostrils – this technically eliminates the risk of any visible postoperative scars. 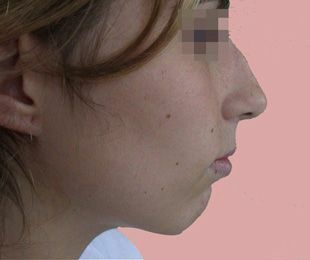 Correction of certain deformations, however, requires incisions of the columnella, or at the margin between the wings of the nostrils and the cheek. The surgery, depending upon its extent, may be performed under local, or general anaesthesia.